← #IWSG May: What would you do? 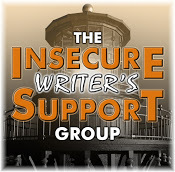 It’s the first Wednesday of the month already, and time to share our hopes, dreams and fears with the Insecure Writers Support Group, the brainchild of Ninja Captain Alex J. Cavanaugh, and this month’s hosts are; Beverly Stowe McClure, Tyrean Martinson, Tonja Drecker, and Ellen @ The Cynical Sailor! This month’s optional question is; What’s harder for you to come up with, book titles or character names? As you might guess from the blog title, titles are hardest for me, without a doubt. Character names mostly just roll out of my head and onto the page, but titles? Damn, they’re difficult. The Perfect Christmas became It’s Got to be Perfect. I’m fine with that. I get it and I bow to the superior knowledge of the magazine publisher, who not only knows their target audience, but also the titles of every other story in the magazine. Novels, though? That’s trickier. First you need something to get the attention of the agent or publisher (unless you’re self-publishing). After that, you need something that will attract (and not put off!) the reader because, let’s face it, humans are fickle creatures and although ‘girl’ is probably offputting by now, there’s as much likelihood that ‘the bagel seller’ or ‘elephant in my pocket’ might also not work because the reader had a traumatic breakfast time trip to the zoo. Relevance to the story may not be necessary though! I hear that The Concubine’s Secret, contains neither a concubine nor a secret, and although I haven’t read it, that little snippet of info makes it instantly more memorable to me! How about you? Titles or names, what’s your bugbear? This entry was posted in IWSG and tagged IWSG, writing. Bookmark the permalink. That’s a lot of title changes. I wonder how many people have had a traumatic experience with elephants? I guess it depends on the circumstances and how strongly you feel about it. It tends to go with the territory in the women’s mags market, so I don’t let it bother me. I’m the title queen, but I’d rather have your problem. The book only needs one title. I dither with dozens of names. Well, at least the “important” characters names. Your titles, btw, are awesome, even the post title. But Witches Knickers kicks it! Heh, my novel titles are made up terms. Therefore, I suppose they have no meaning except to me and readers of the series? I did not know that about the Concubine’s Secret. That sort of cheating in my eye cause I do look at the cover, title and blurb for interest in the story first. I struggle with titles, so lately I’ve been having my readers come up with them. The best suggestions win a free ebook of their choice. It’s been a lot of fun, and it’s a great way to engage your fans. That’s a great idea – you know your target audience is going to be happy! I really appreciated your examples of title changes. I have a really tough time with them, too. And Concubine’s Secret doesn’t have a concubine or a secret? That’s interesting. Hmm. Maybe I should name my next novel . . . Cinnamon, even though I don’t think it’s relevant? And, oops, my post should be connected to google and not wordpress. So here goes again.